A male turkey was caught on camera standing in the middle of the road to stop traffic to let its female friends safely cross the road. 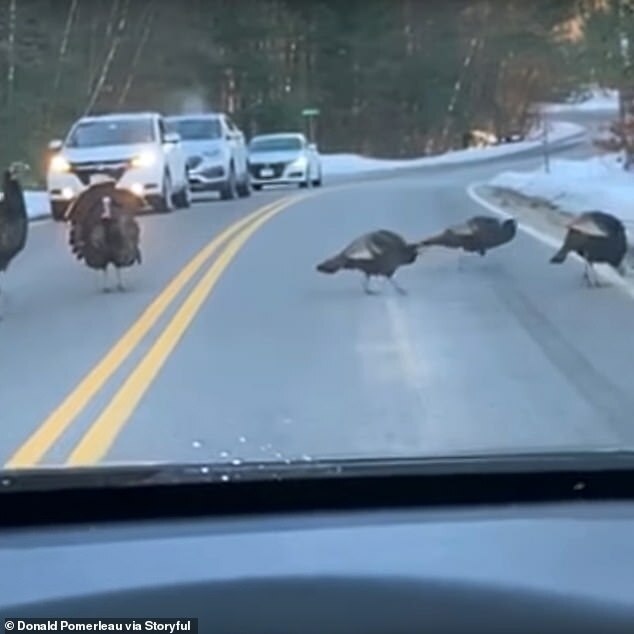 Driver Donald Pomerleau captured a male turkey standing on a busy two-way road in Litchfield, New Hampshire. 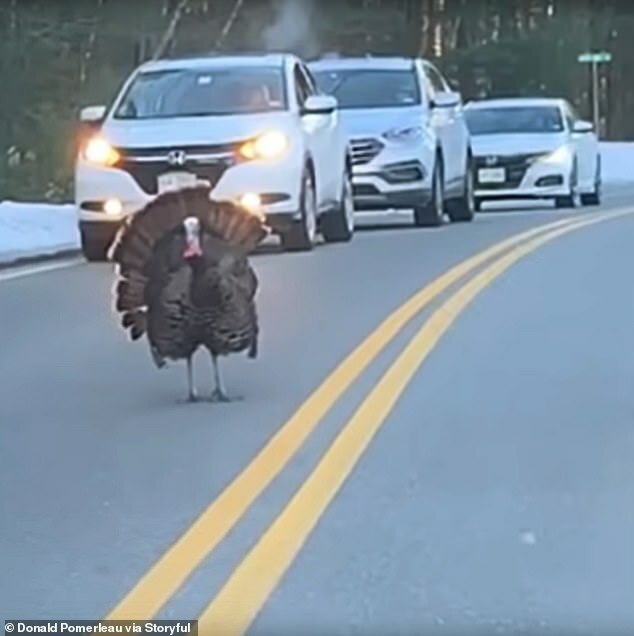 The footage shows the authoritative turkey standing in the middle of the road to stop traffic to let females and young males safely cross the road. He stands in the middle of the road until his friends cross the road safely. 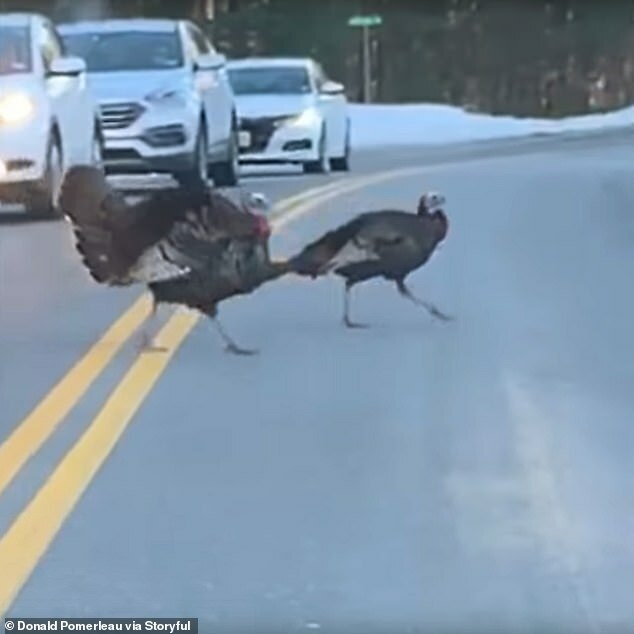 The video of the authoritative turkey helping his friend safely cross the road was posted online which received hundreds of likes and views. Due to habitat loss and the lack of hunting regulations, wild turkeys had disappeared from New Hampshire 150 years ago, according to the state’s fish and game department. Now, there are around 25,000 wild turkeys after New Hampshire Fish and Game started to transplant wild turkeys more than four decades ago.